The 2017 Hyundai Sonata is a midsize family sedan with front-wheel drive and a choice of four-cylinder engines. Sonata delivers plenty of interior space, well-controlled ride/handling qualities, and fuel efficiency. Sonata carries over unchanged for 2017 except for a new safety feature: Dynamic Light Bending is available for the Limited trim level. Sonata was last redesigned for the 2015 model year and is currently in its seventh generation. Sonata comes with a choice of three four-cylinder engines plus hybrid versions. 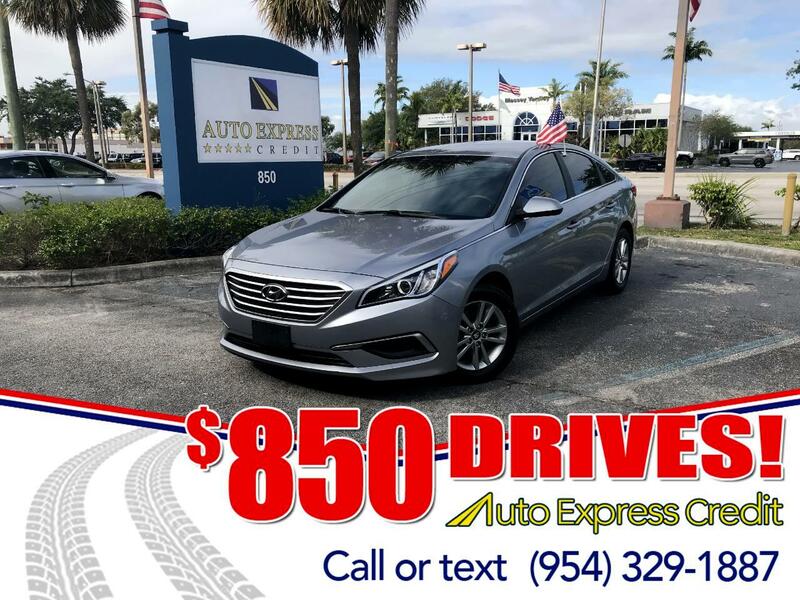 A 2.4-liter engine that makes 185 horsepower and 178 pound-feet of torque comes standard on Sonata SE, Sport, and Limited trim levels. A twin-scroll turbocharged 2.0-liter engine is available with Sonata Sport and Limited trims that produces 245 horsepower and 260 pound-feet of torque. Fuel-efficiency leader is the Sonata Eco, with a small 178-horsepower, 1.6-liter engine. Each engine mates with a 6-speed automatic transmission, which yields smooth, prompt shifts. Paddle shifters are included with Sport models. A three-mode driving selector (Sport, Eco, and Normal), standard on all Sonatas, affects shift tuning, throttle, and power-steering assist. Turbocharged and Sonata Limited models have an electric parking brake; others retain a foot-activated brake. Relatively light in weight compared to other midsize sedans, all Sonatas have front-drive. (All-wheel drive is not offered.) Although Sonatas are marketed as midsize sedans, the Environmental Protection Agency classifies them as large cars. Sonatas score highly in safety, earning five-star crash-test ratings overall, and for frontal and side-impact, from the National Highway Traffic Safety Administration. The Insurance Institute for Highway Safety gave the Sonata a Superior score and Top Safety Pick+ award, when it was equipped with an optional forward-collision warning system.